Ai probleme cu calculatorul tau? Daca ai navigat pana aici nu mai trebuie sa pierzi timpul mergand imediat la un service sa intrebi despre problema ta sau chiar cu el acolo sau sa fii nevoit sa apelezi la cineva sa vina la domiciliul sau la biroul tau. Poti apela cu incredere la cunostintele mele. Va stau la dispozitie prin intermediul e-mail-ului, Yahoo! Mesenger sau telefonic in cel mai scurt timp posibil, pentru a rezolva impreuna problema dumneavoastra. Mai putem rezolva si cu ajutorul programului de asistenta de la distanta Team Viewer. Using a Smart DNS service is a great way of browsing geo-location locked content and accessing streaming channels that would otherwise be inaccessible to you. Unfortunately, the big problem with Smart DNS is that it requires your IP address to work correctly, and with most Internet Service Providers (ISP) this can change on a regular basis. To overcome this, all Smart DNS providers have a section on their website user area that can be used to easily update your IP address. While this is relatively easy to do and should cause no issues to anyone, it can become a hassle if you have to do it regularly. This is where a Dynamic DNS or DDNS for short, comes in. You can register a free domain name and install a piece of software on your computer that will then keep your IP address updated as required. At the end of this article, we examine how to set-up a DDNS service from scratch. 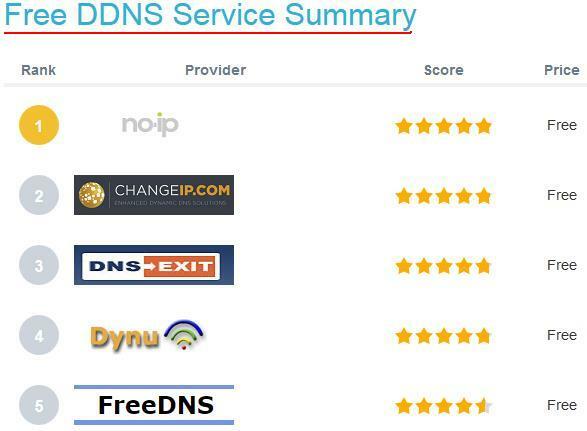 Our list here contains, what we believe, are the best free DDNS services, but we also have a list covering the best paid DDNS services (coming soon). A paid Dynamic DNS service, doesn’t pose an advantage to the average person, but it does allow you to register top-level domains, have better support, do not contain advertisements, have unlimited hostnames and domains registered amongst many options. Most providers include different services/limitations in their services so if you have extensive needs, you choose one that suits all of them. No-IP is one of the best and most used DDNS services and for good reason. Their free sub-domain based Dynamic DNS service includes features not found elsewhere such as URL and port forwarding that makes it ideal for home networks. With their paid options even more such as email and SSl upgrades are supported. Their service is easy to use, and the client is very easy to set-up meaning the average person will have no problems with settings it up. The only downside we could find with No-IP was the fact that you have “reactivate it” every 30 days to keep it alive and running. ChangeIP is a service very similar to No-IP, with the major differences being that it doesn’t support forwarding, and we found the website to be a little harder to navigate. Overall though ChangeIP has a very flexible Dynamic DNS infrastructure and can provide most people with what they need. Their sub-domain names that you can use is probably one of the largest we have seen and allows everything from vanity to utility. 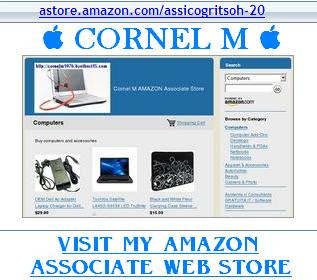 You can also use your own domain with the low cost of $6/year. We enjoyed using DNS Exit, but we found the process of signing up unnecessarily complicated. If you’re more technically inclined, you will be able to see that they also support every type of DNS entry options. Like the above options, they also allow you to use your own domain and can provide other hosting and DNS services (of course these will cost money). Their subdomain names aren’t as attractive as elsewhere (.linkpc.net, .publicvm.com) but they do the job required and are easy to memorize. Their other big downside is the fact they do not support port forwarding. 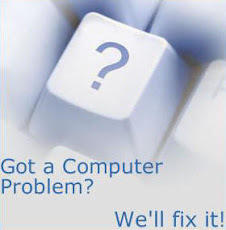 Overall the general consensus is that they are very good, and most people report having a fantastic uptime with them. Overall we found that Dyno gives a great service with plenty of ticks for domain options and URL and port forwarding. Like DNS Exit, you can also register your own domain for their DDNS service at absolutely no cost. Unfortunately, we felt that their website, navigation and client flow has been stuck in 1997 which is never a good indication of a service. The best and worse feature of FreeDNS.Afraid is the same thing: it is community run. While this is great as it means that everything is free (though donations are highly encouraged), the systems have been designed with the users in mind, and there is plenty of support available. On the downside, it means that your personal domain (if you own one) is shared and open to everyone else to use and users are more technically knowledgeable. While Smart DNS services are great, they can be very annoying to use if your IP keeps changing thanks to your ISP. A free DDNS service can make light of this problem in mere seconds not to mention a number of other great uses it can have. If you’re still stuck on which one to use have a look at the summary below or feel free to leave us a comment. Vrei hosting free si domeniu? Vrei hosting sigur si platit? Click pentru consultare... Alegerea iti apartine!